SuperGIS DataManager is an application which can help you to manage the layers for all SuperGIS products. Due to the rise of GIS development, numerous GIS formats are used worldwide. 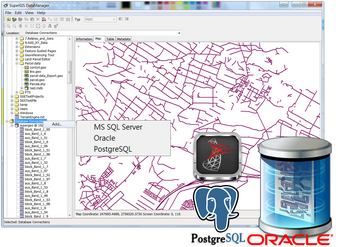 SuperGIS DataManager supports most of the common features and raster layers to be displayed, copied, moved, deleted, etc. You can browse and manage your GIS data directly within SuperGIS DataManager, including preview maps, add fields, perform spatial query, and create or delete layers. 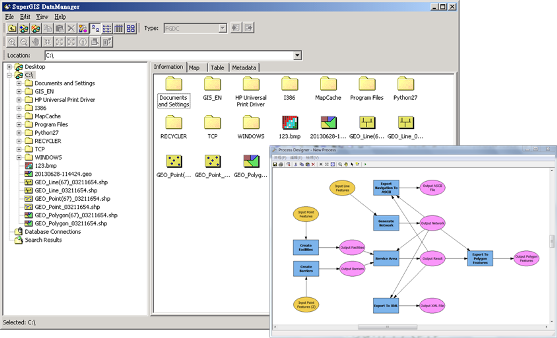 In addition, SuperGIS Toolkit is also supported, providing hundreds of analysis functions. Also, you can directly drag and drop files from SuperGIS DataManager to SuperGIS Desktop to perform more GIS tasks. In addition to manage file-based data, you can also manage GIS data from geo-databases like Microsoft Access, Microsoft SQL Server, Oracle, and PostgreSQL. Therefore, the map data can be utilized by multiple users, and the availability of the data can be improved. 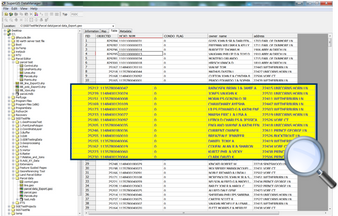 Meanwhile, users can export the vector and raster data to the databases mentioned above. Meta-data provides detailed descriptions of spatial data which is extremely important for the users who use public data. 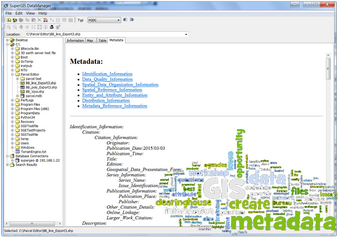 SuperGIS DataManager 3.2 can help you to build up, import, and export metadata. The metadata includes hundreds of fields for you to define data, such as publisher, produce organization, modification date, etc. 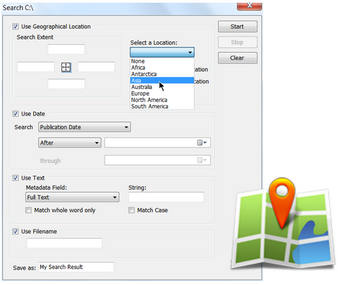 With complete metadata definition, your GIS data can be more readable for all users. SuperGIS DataManager provides the ability to search for GIS layers to increase your working efficiency. You can search data by its spatial extent, date, metadata information, or filename. The search result can be put to work to quickly visualize them and run geo-processes.